Harivansh Rai Bachchan was born on 27 November 1907 in a small village belt of Pratapgarh district near Prayagnagri (Allahabad). Harivansh Rai did MA in English Literature from Allahabad University in 1938 and was a spokesman of Allahabad University till 1952. In 1926 Harivansh Rai was married to Shyama, who died in 1936 after a long illness of TB. In the meantime, they were completely alone. In 1941, Bachchan married Bada Suri. In 1952, he went to England to study, where he studied English literature/poetry at Cambridge University. After coming back from Cambridge in 1955, you were appointed as a Hindi expert in the Foreign Ministry of the Government of India. He was also nominated the member of the Rajya Sabha and in 1976 you received the title of Padma Bhushan. Before this, you also got the Sahitya Akademi award in 1968 for 'Two Rocks' (Poem-collection). 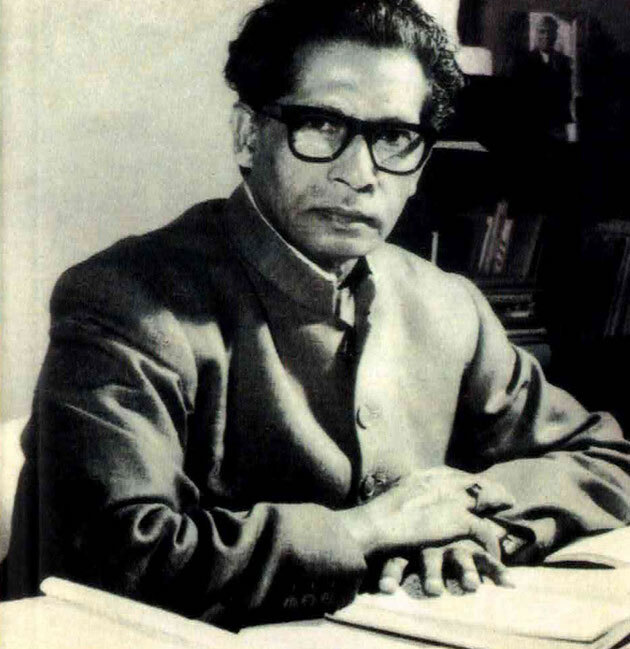 Harivansh Rai Bachchan died in Mumbai on January 18, 2003. At the beginning of his poetical journey, you were very impressed with the lifestyle of 'Omar Khayyam' and his famous work, 'Madhushala' was written after being motivated by the Omar Khayyam. Madhushala got great fame on the stage and Bachchan became the popular poet of poetry lovers.